Last week, Erika from Three Girls Media told me that Ellie Krupnick from the Huffington Post wanted to interview me. I said sure, of course. And then Ellie called me last Friday and just asked me a whole bunch of questions. 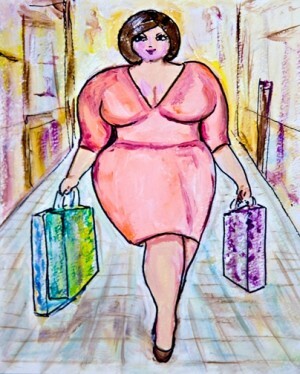 I want to self publish a book called “Curvy Girl Chronicles” and I want it to be like an anthology of all of our stories. I want us all to tell our own story and about our own struggle. 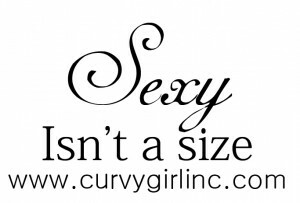 Calling all Curvy Girls. 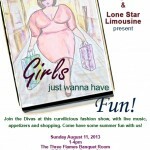 My friends at Lone Star Limousine and Curvy Girl are co-hosting a “Girls Just Wanna Have Fun” event on August 11th. This event will include 15 vendors, appetizers, live music, cash bar, raffles and all kinds of other fun.